You may have noticed the banner above on my sidebar. A lot of bloggers and others started reading the Bible on January 1st. The goal is to read the whole Bible in 90 days. They even have a special Bible you can purchase that is broken down by each day's reading. When I started, I didn't have the money to buy a special Bible, so I am just using a Bible I already owned and following the readings found here. Previously I have read different chapters and books of the Bible, but never the whole thing. I have always wanted to read the it from cover to cover. But, it always seemed like such a monumental task. So, when I read about the challenge on The Happy Housewife, I decided to join in. I figured with friends to motivate me, I could do it! I am just over half way done with reading the Bible. Right below the banner, is a tracker that tells how many chapters I've read. Right now, it says I am 58% done with reading. I'm a couple days behind, almost all the time. I'll get caught up, then something happens and I miss a day or two, and I'm behind again. But, instead of being upset with falling behind, I just start where I was and read a little extra to catch up again. I am really enjoying reading through the Bible. I have learned so much! I've been hi-lighting passages I want to go back to. I know I won't remember everything, but this is a great foundation for future reading. How about you, are you reading with us? If so, how are you doing? If you're not reading through this time, another group is going to start reading on July 1st, you'll be able to find more information at Mom's Toolbox. I've never read the Bible from beginning to end like that. Sounds like a great experience. I am so glad you posted about reading the Bible through in 90 days . It is a very special experience and really can be eye opening the first two or three times through than after that you cannot imagine not reading it through ! Each time is new and exciting . God's word never fails to inform,inspire and transform us as we read and grow. Thank you so much for dropping by my blog. 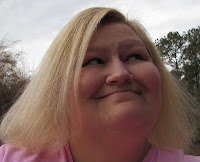 I have been so busy with my Mom I have gotten very behind with visiting in blogland. I still keep you all close in my heart and in my prayers no matter where I may be ! God bless you and yours . Just popping in to say hello & to thank you for all your comments & support on my blog. Have a lovely day ! Neat 'club' to be part of! I think it's neat that every time I read the Bible - even if it's stuff I've read several times, I always read or learn something new. Was just reading the part about the fiery furnace in Daniel to the kids and read some stuff I'd never paid attention to before.